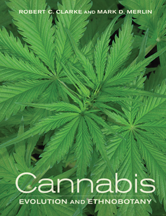 Cannabis: Evolution and Ethnobotany is a comprehensive, interdisciplinary exploration of the natural origins and early evolution of this famous plant, highlighting its historic role in the development of human societies. What Shall We Call These Plants? Should We Praise or Condemn This Multipurpose Plant? One, Two, or Three Species?